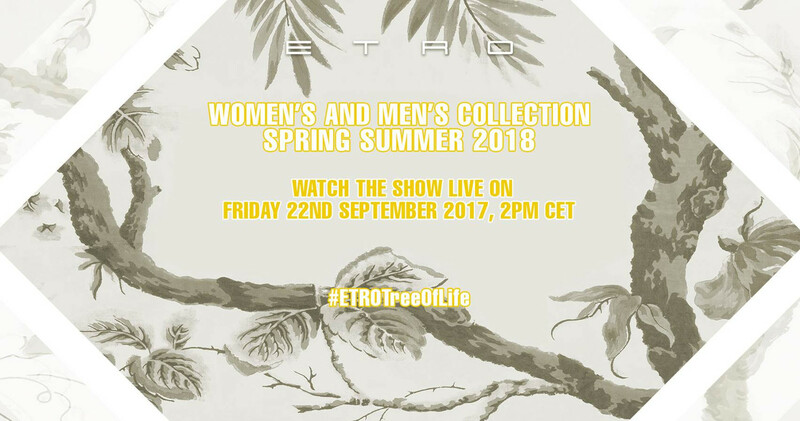 Two halves of a whole unite to make way for Etro’s 2018 50th year as a fashion house and family company. 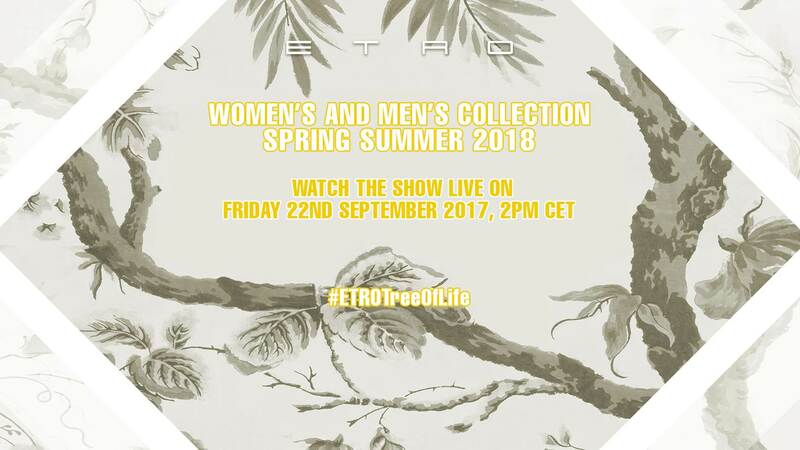 Conceived in tandem by siblings Veronica and Kean Etro, together they present their first collection of both Women’s and Men’s for Spring/Summer 2018. Guided by the same impulses as their father and Etro founder, Gerolamo, whose early travels to India remain the source material for Etro’s colourful prints, this season’s offering is an interpretation of Indian folklore through Etro’s haute bohemian lens. The iconic Paisley print is believed to be a graphic rendering of the seed that springs forth the Tree of Life. From brilliant whites to kaleidoscopic rainbow, the collection unfolds like light through a prism. 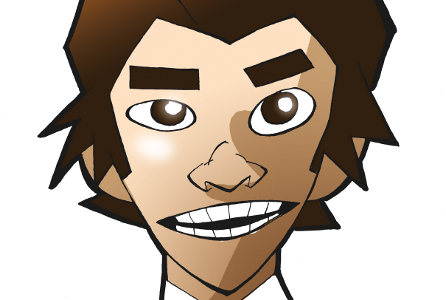 The collection begins with white, a symbol of purity. Long cotton voile dresses as soft as silk have been printed with white pigment for an ethereal shadow of the iconic Etro pattern. 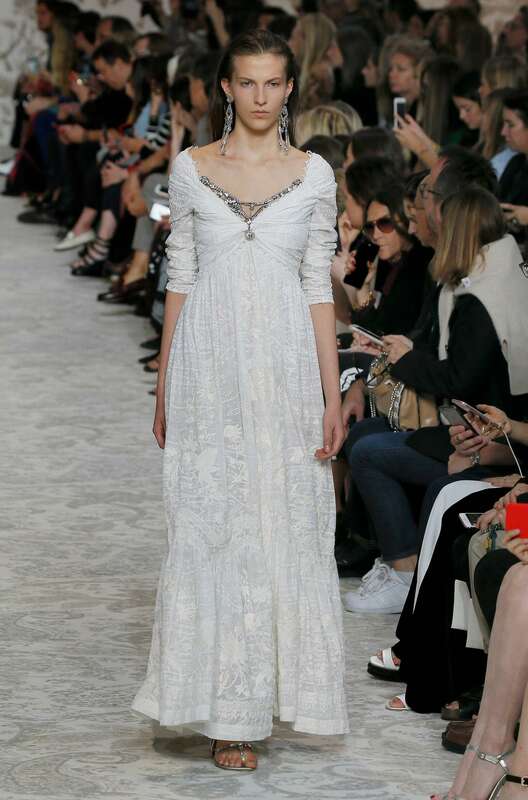 Delicate lace, silk crêpe and weightless cotton are embellished with metallic thread and pearls on a series of dresses that explore shades of cream, ivory and taupe. Colours blossom slowly: hints of acid yellow and mustard are introduced in spare, delicate patterns on loosely rendered silk pyjama sets for both men and women. Etro’s classic flowing gowns in weightless, floral patterned cotton have been printed with lurex to shimmer with movement. As the collection gains momentum pigments become saturated: coral, salmon and tangerine precede deep violet, maroon and emerald green. A sumptuous swirl of visual psychedelia is found in ecstatically embellished blazers and smoking jackets for men in velvet and linen. Silhouettes are loose and free but with elements of strong tailoring. Dresses and shirts for women are wrapped around the waist with wide sashes in silk Mogador and locked with paisley-jewel brooches. Menswear suiting – found in brightly coloured silk and cotton blazers and double-breasted jackets – cuts close to the body, and linen trousers are left casually crinkled. Lightweight cable-knit sweaters for men, inspired by cricket whites, and prim, lace trimmed cardigans for women are designed to be worn snugly. For both men and women, pleated cotton jodhpurs are high waisted and worn belted, while silk and light wool wide-legged trousers are cut loose and free. Mock collars in rich embroideries and patterns slip under sombre sweaters and tailored jackets. Floral and paisley-printed waistcoats in silk or velvet are worn on top of fitted polo shirts and long silk tunics. A flowing cotton kaftan is reimagined backless, with a patchwork of patterns and long bell sleeves. A draping, one-shouldered foulard dress is voluminously folded and wrapped in the center with a thick sash. 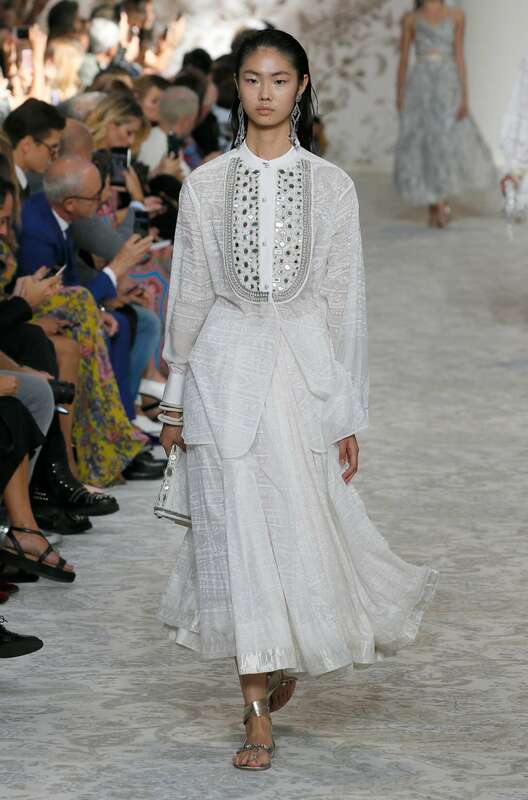 The bodice of a fluttering above the knee cotton dress is rendered three-dimensional with heavy patchwork embroidery, braided trim and a thickly quilted elephant motif adorning the back, a treatment also found on short jackets and vests. Accessories are informal yet vibrant. For women, jewel-toned, crystal-embellished sandals in satin and metallic leather fold origami-like around the ankle or wind around the leg with thin straps. For men, casually woven leather loafers in brown, as well as white, purposefully weathered oxfords complete a relaxed image. 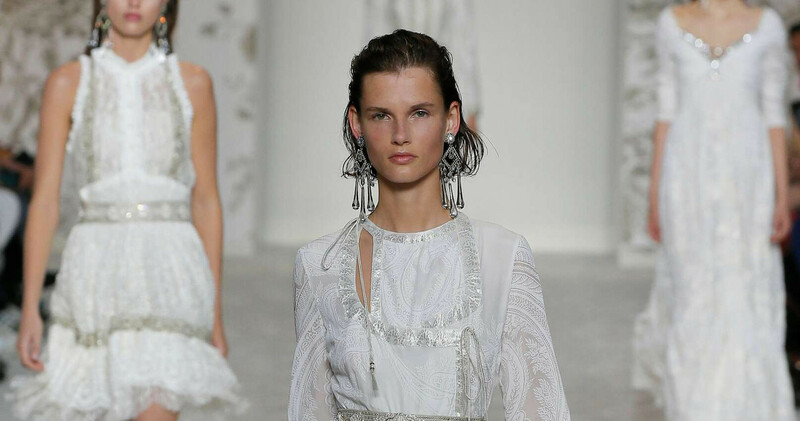 Delicate blown glass chandelier earrings are worn with paisley-shaped pearl and jewel-encrusted torchons and brooches. Finally, Etro’s Rainbow Bag has been remade in velvet with sumptuously ornate detailing, while for men sporty Paisley printed leather duffle bags round out their look. Round tortoiseshell frames are adorned by the brand’s iconic Paisley motif, formed from pearls and crystals.